In recent years, many new museums in Penang have been established to provide you with more options to go during your holidays in Penang. There are more than 20 museums that you can visit with different themes for different museums. If you are coming as a group or plan to visit a few museums, the most economical way to do this is to purchase the Penang Museum Trail & Museum Adventure Pass. This card costs RM10 to purchase and will enable you to get 20% discounts off the entrance tickets up to 4 persons. You can get 10% off if you purchase any of the merchandise at the museums. Get the cards at Penang Port Commission (Ground Floor Arcade), Pesara King Edward, 10300 Georgetown, Penang. Tel: +604 261 6663. If you are a student and do not intend to get the card, bring along your student ID card and you will get student rate at most of the museums. 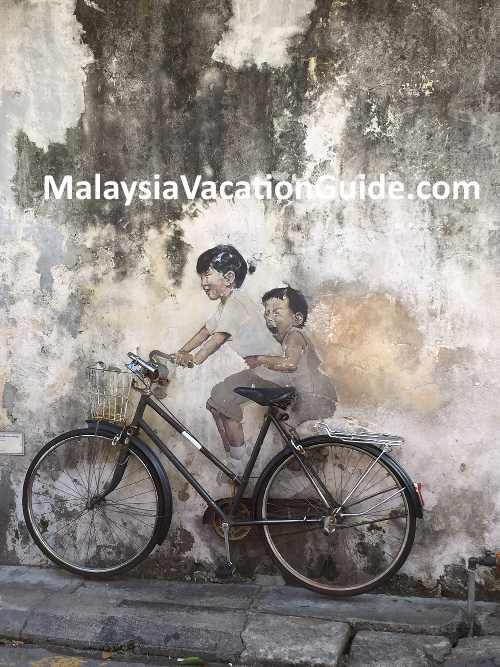 If you have limited time to spend but still want to visit all the museums in Penang, select two to three that are located within the vicinity that interest you. Here are some of them. Asia Camera Museum Established in 2014, this museum has over a thousand of vintage cameras for you to view. It is located at 10, Jalan Burma, Georgetown. Open daily from 11am-7pm. Cheah Kongsi Interpretative Museum This Kongsi was established in 1820. It is located at No 8, Lebuh Armenian, Georgetown. Open Mon-Fri from 9am-5pm. Sat: 9am-1pm. Cheong Fatt Tze Mansion This huge house has over 200 windows, 38 rooms and 7 staircases. It used to be the home of Cheong Fatt Tze in the 1880's. This mansion operates as a heritage accommodation today. It is located at 14, Leith Street, Georgetown. You can tour this place daily at 11am, 2pm or 3:30pm for a fee. Colonial Penang Museum There are over 1,000 pieces of antiques and collectibles dated back to the colonial time which you can see here. Located at 7, Jalan D.S. Ramanathan (previously Scott Road), Pulau Tikus, Penang. Open daily from 9:30am-6:30pm. Glass Museum Learn about the art of making glasses here. Museum is located at 6 Jalan Burma, Georgetown. Open Mon-Fri from 9:30am-6pm. Sat: 9:30am-5pm. Khoo Kongsi Museum Belonging to a clan association by the name of Khoo, the temple features Chinese architecture and craftsmanship. It is located at 18, Cannon Square, Georgetown. Open daily from 9am-5pm. Made In Penang Interactive Museum This is a highly interactive museum that lets you see Penang by using 3D, theatre and kiosks. Located at 3, Pengkalan Weld, Georgetown. Open daily from 8am-6pm. Operation hours extended to 8pm on Saturdays and Sundays. One East Museum Features the life and artworks of Ch'ng Huck Theng. This private museum is located at No 7, Jalan Dunlop, Georgetown. Open Mon-Fri from 10am-5pm. Closed on Saturdays and Sundays. Penang State Art Gallery Permanent collection at level 3 include paintings, photos, ceramics, sculptures, articles and other media. The contemporary art gallery is located at the ground floor with different theme throughout the year. This gallery is located at Dewan Sri Pinang, Light Street, Georgetown. Open daily from 8am-5pm. Closed on public holidays and 12pm-3pm on Fridays. Penang State Museum The museum itself is housed in a historical building that was built in 1821. 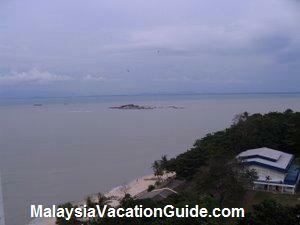 Learn the history of Penang and the lifestyle of the peoples here decades ago. Some of the practices are still in existence today. 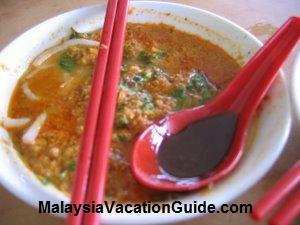 Make this part of your tour of museums in Penang. 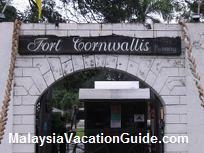 This museum is located at Lebuh Farquhar, Georgetown. Open from 8am-5pm daily except on Fridays and public holidays. Penang Time Tunnel Museum Go back to the past 400 years of Penang. Enjoy the historical tunnels, 3D murals art street and anti-gravity experience. 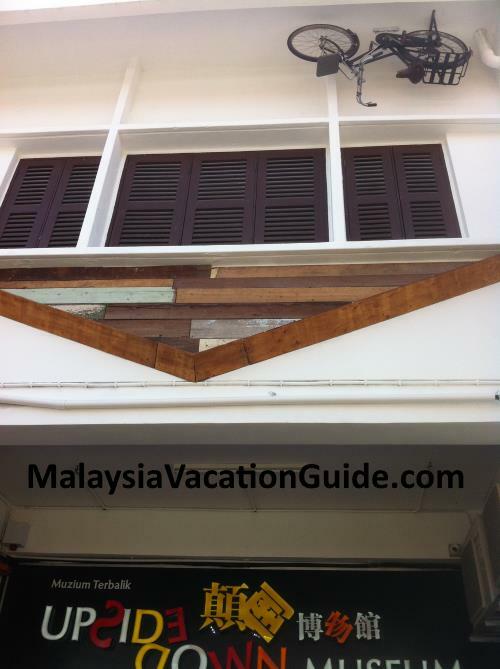 This museum is located at 39, Jalan Greenhall, Georgetown. Open daily from 9:15am-7pm. 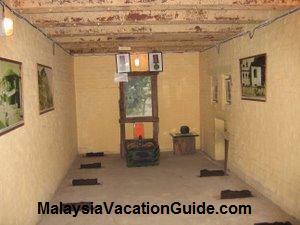 Penang War Museum Go into the underground tunnels and experience how the war transformed this vast area into a fort. This is one of the biggest museums in Penang. 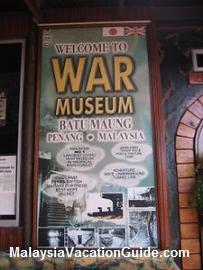 This museum is located at Batu Maung Hill, south east of Penang Island. Open daily from 9am-11pm. Penang 3D Trick Art Museum See how 2D paintings can become 3D images and you can become part of the pictures. 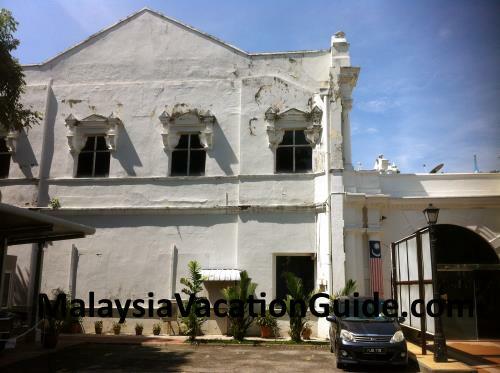 Established in 2014, this museum is located at 10, Lebuh Penang, Georgetown. Open daily from 9am-6pm. Operational hours extended to 8pm on Saturdays and Sundays. PG Gold Museum This is the only gold museum in Malaysia that include 3D mural and 50kg physical gold touching. You can also try gold panning, the way gold was segregated from unwanted materials in the olden days. It is located at 95, Lebuh Bishop, Georgetown. Open daily from 9am-6pm including public holidays. Pinang Peranakan Mansion See the culture of the Peranakan Chinese at this mansion. It is located at 29, Church Street, Georgetown. Open daily from 9:30am-5:00pm. Sun Yat Sen Museum This museum document the influence of Penang over Sun Yat Sen and vice-versa during the revolution of China. It is located at Lebuh Armenian, Georgetown. Open daily from 9:30am-5:30pm. Teddy Ville Museum Penang See the history of Penang through the teddy bears exhibition. 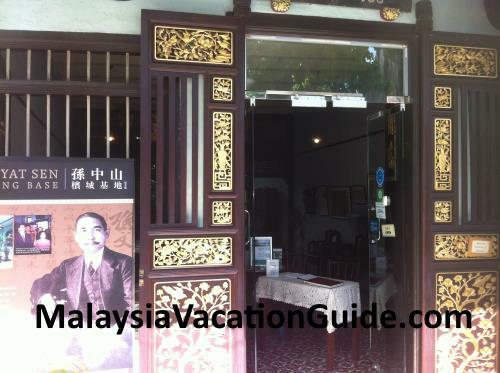 This museum is located at No 56 Jalan Low Yat, Batu Ferringhi, Penang. Schedule to be open in early 2016. The Camera Museum Learn all about how the camera that you are holding evolved. This museum is located at 49, Jalan Muntri, Georgetown. Open daily from 9:30am-6:30pm. 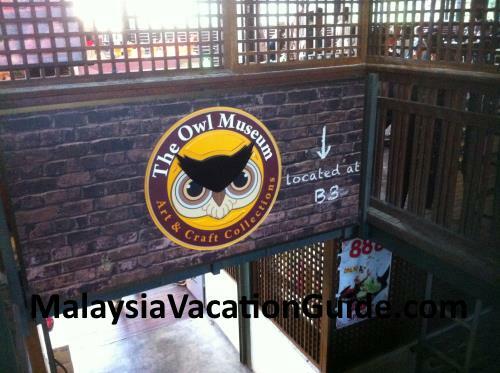 The Owl Museum There are over 3,000 arts and crafts related to owls that are sourced from countries around the world. 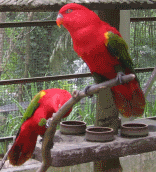 It is located at Penang Hill. Open daily from 9am-6pm. Upside Down Museum How is it like to see everything upside down? Find out when you come here. This museum is located at 45, Lebuh Kimberley, Georgetown. Open daily from 8:45am-6:30pm. Operation hours extended to 8pm on Saturdays and Sundays.